Social networks have become an essential channel to disseminate ideas or to launch products. Social networks are a very trustworthy way to measure the social impact of any action because they respond to the spontaneous actions of their users to a great extent. 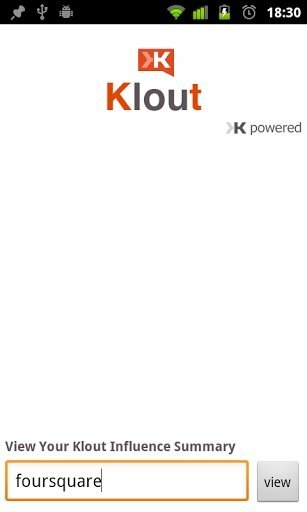 Klout is a tool that, both at professional and particular level, can help you to get an idea about the influence of your actions on Facebook and Twitter. The best way to measure your impact and influence on Facebook and Twitter. Find out who and how you influence on social networks. Find out what actions have the biggest impact on the rest of users and which don't. Get hold of detailed reports of how your contents are treated on the network. 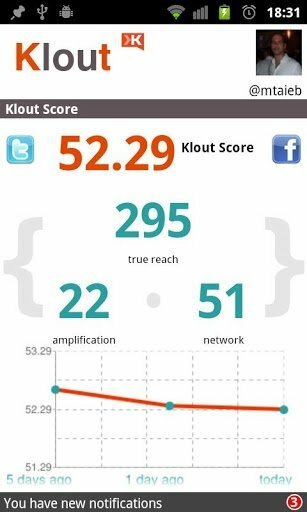 Measure your level of popularity on social networks. Discover your impact and popularity trend. 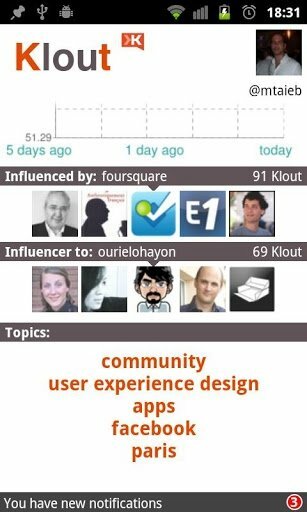 Klout can be very useful at professional level, as the information offered isn't at all incidental. Its reports can help you to prepare commercial campaigns or modify the strategy that you are carrying out. 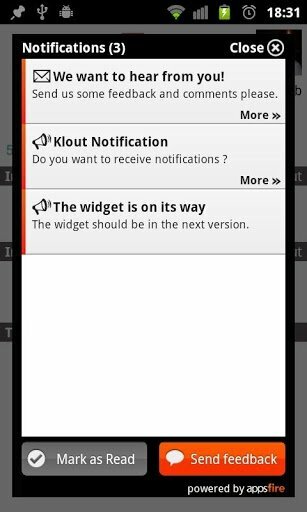 Download Klout free for Android and control social networks in all their dimensions. Minimum operating system requirements: Android 1.5.